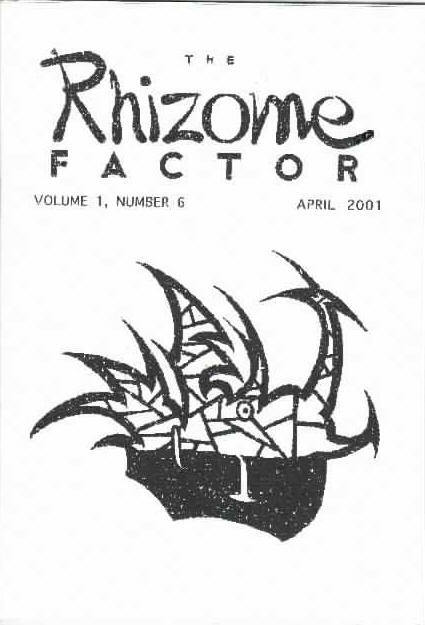 The Rhizome Factor [v1 #6, April 2001] (A$4.00, 64pp+, A5, cover by Jade Todd) Death and SF. Roadworks [#11, Winter 2001] ed. 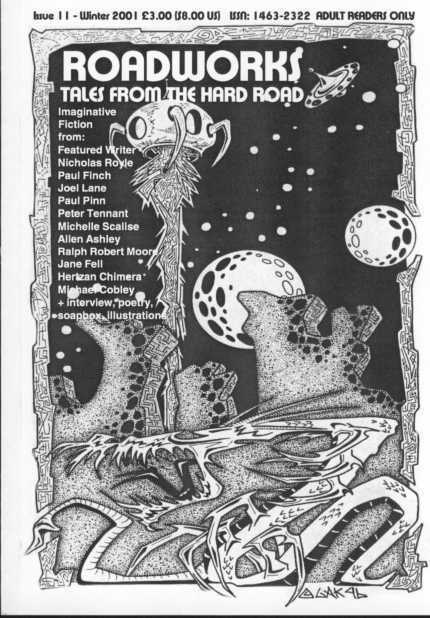 Trevor Denyer (Denyer, Trevor, £3.00, 118pp, A5, cover by GAK) Small press SF magazine. Available from Trevor Denyer, 7 Mountview, Church Lane West, Aldershot, Hampshire, GU11 3LN. Scheherazade [#21 (2001)] ed. 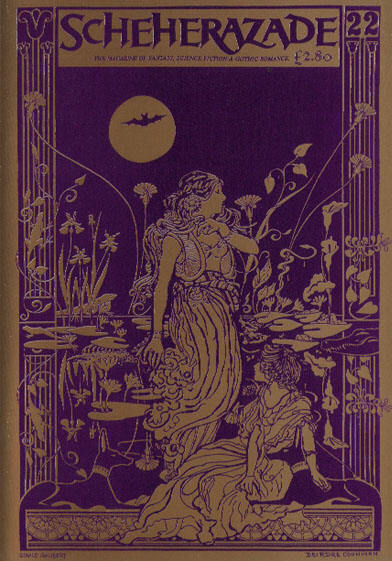 Elizabeth Counihan (Scheherazade, £2.80, 41pp, A5) Small press fiction magazine specializing in fantasy, SF and gothic romance. Available from Elizabeth Counihan, 14 Queens Park Rise, Brighton, BN2 2ZF. Scheherazade [#22 (2001)] ed. 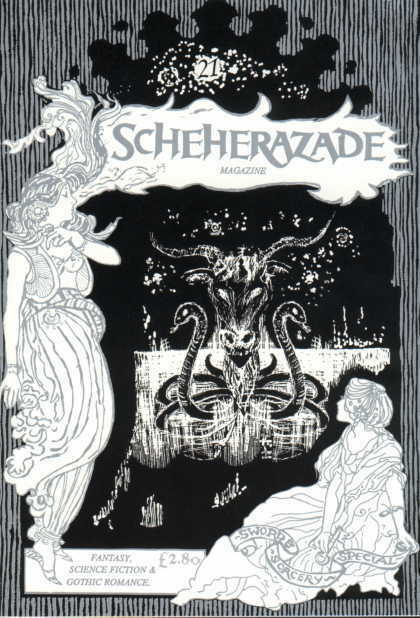 Elizabeth Counihan (Scheherazade, £2.80, 41pp, A5) Small press fiction magazine specializing in fantasy, SF and gothic romance. Available from Elizabeth Counihan, 14 Queens Park Rise, Brighton, BN2 2ZF. Songs of Innocence [v 3 #1, No. 4, 2001] ed. Michael M. Pendragon (; New York, NY, $10.00, 166+xxii+, octavo) Double issue.